With President Donald Trump continuing to warn about a migrant caravan of more than 7,000 Central Americans making its way through Mexico and headed to the U.S., the president has an ally in the Florida delegation. 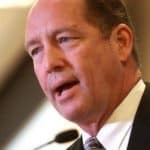 This past weekend, U.S. Rep. Ted Yoho, R-Fla., a former vice chairman of the U.S. House Foreign Affairs Committee and the current chairman of the U.S. House Asia and the Pacific Subcommittee, said he backed Trump’s plan to ensure the caravan is not allowed in the U.S.
“Our country was founded on the principles of life, liberty, and an individual’s right to pursue happiness. We achieve this by being a nation of laws, not men. We also have an orderly although antiquated immigration process. However, when laws are broken, it disrupts the processes put in place for those who follow our laws,” Yoho said on Saturday. “I support legal immigration. Florida, as our nation, is greatly enriched by the many diverse communities that have made their homes here,” Yoho added. “My heart goes out to this caravan of migrants from Honduras, Guatemala, and El Salvador approaching our border. I can only imagine their plight. However, we cannot favor one group over another because the situation appeals to our emotions. These countries must do better for their citizens- period. For too long, America’s welfare and immigration loopholes, along with President Obama’s illegal DACA Executive Order, have acted like a magnet for this activity. We must halt these disruptive practices and pass lasting and effective immigration reform. 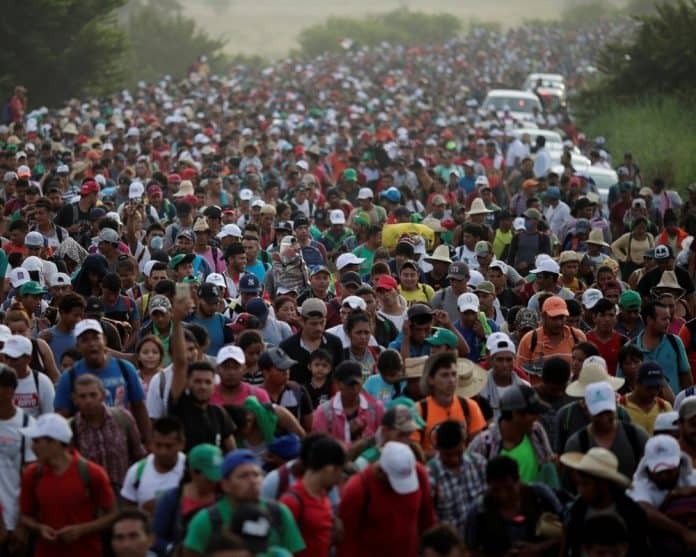 “When people amass into large groups and storm our borders- regardless of reason- it prohibits orderly legal entry into our nation,” Yoho continued. “All groups are affected in a negative way and it creates a disdain towards immigration overall. Our country has legal channels for those that want to migrate legally here or to seek work, refugee status, and asylum. In fact, the U.S. accepts over one million migrants annually more than any other nation. Yoho has Trump’s endorsement as he runs for a fourth term next week, facing Democrat Yvonne Hayes Hinson, an educator and former Gainesville City Commissioner. If he wins a fourth term–and he is a heavy favorite in a secure Republican district–Yoho could give Trump more help in 2019. Yoho is a possible contender to replace U.S. Rep. Ed Royce, R-Calif., the outgoing chairman of the House Foreign Affairs Committee.